From jackets and shirts to shoes, here are the most glamorous garments in denim 2016. The denim is a pass part out timeless, an evergreen that has no boundaries.The walkways are filled with eccentric look, from street style to the total denim that does not go unnoticed. The first jeans fashion has been recognized by the popular Levi’s, a high-waisted jeans with five pockets still very used both with the model in “cigarette“, narrow thigh and ankle, that the model “boyfriend“, and flared straight down the leg. It has evolved over time, leaving ample room for imagination: jeans with rips and subsequently patched tear before returning again to tearing even wider.Models with low waist to hip-hop style or high-waisted for a more chic, the lighter colors to darker. Jeans are an essential part of clothing, the only head that fits in well in everything, versatile and comfortable.Already in 2012 he witnessed the trend of total denim, a style that prefers denim garments, or the same color jeans if not exactly the same fabric. You may also like to read another article of Dress24H: Blazer dress, the trend that shines in winter and not only. 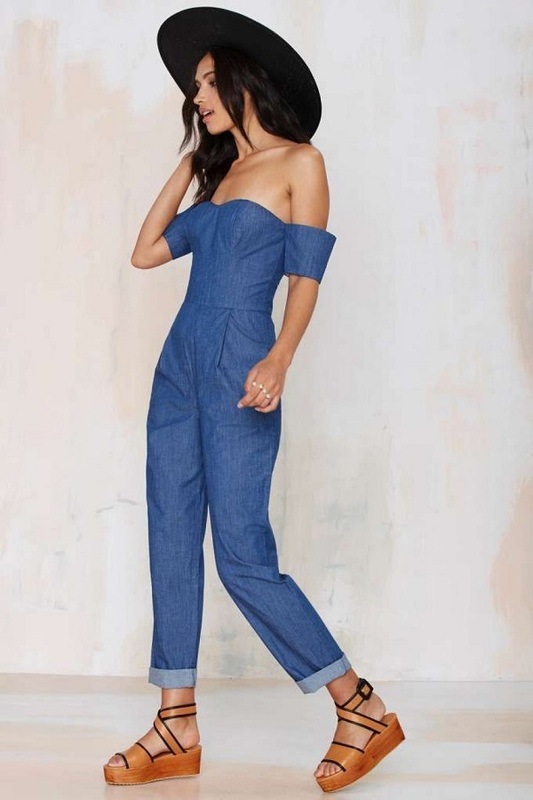 The clothes denim more glamorous this season are overalls and suits, dresses, shirts and blouses, trench coats, jackets, vests, shorts pants and TROUSERS long and fluid and finally skirts, flared skirts, skirts and mini dresses, skirts up to ankle. The overalls and coveralls that widen towards the ankle remember the 70s: a head scarf, a clutch colorful rainbow style Valentino, a stiletto Dior essence bare and you’re done. The trenches are knotted at the waist, those of medium length to those ankle-lengths for an elegant style but modern, fresh, spring-like. Long style shirts or overalls on short dresses and mini dresses in denim. 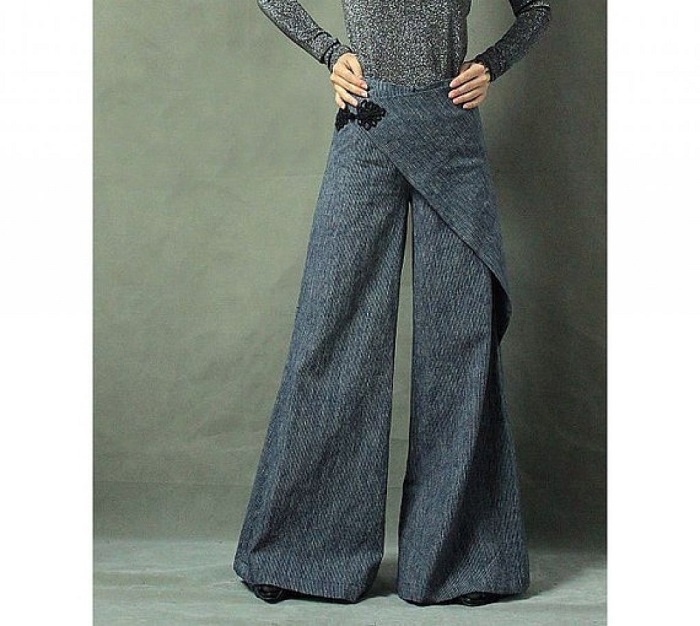 Long palazzo pants, soft and fluid, denim welcomes them both in lengths below the ankle above. You may also like to read another article of Dress24H: Kendall Jenner, her look is one of the best of 2015. Shoes denim is a treat for the fashion addicted.In this regard, Christian Louboutin offers stiletto rigid denim, i.e. denim pumps. Even Gianvito Rossi proposes a reworking of the classic stiletto, the “Gianvito Rossi – Blue denim pumps”. Tom Ford instead wanders more on the boot, with the “Frivolous Fabulous – Tom Ford Fall Winter Denim Boots”. For those who do not yield to the heels, Converse denim.